The cassette system is a transport system that is used for loading cargo on a cassette (also known as a pallet) for pick up and transportation by means of a lifting trailer. The system consists of a cassette, translifter and terminal tractor. The cassette system is used for horizontal heavy transports in ports and industry. It offers improved safety, cost-effectiveness and high transport efficiency. This means improved production flexibility and optimization through the whole value chain. Cassettes can be loaded and unloaded independently of the translifter. Translifters are versatile and driver-friendly. – Safety: Less movements, safer operations. Translifter is stable and the load can be secured safely. – Cost-effectiveness: Low investment costs, increased transporting efficiency and improved production flexibility. Low maintenance costs also in difficult conditions. – Environmental aspects: Effective use of space in loading and short turn-around time in ports: reduction up to 30% in fuel consumption and emissions in sea shipments. In constant cargo flow with payloads from 50 to 200 tonnes, the cassette system normally offers the lowest total costs per transported ton. Translifter is lowered down and reversed under the loaded cassette, then lifted up for transportation with hydraulic lifting mechanism. This self-loading principle eliminates the waiting time of a driver – keeping the most expensive asset always on the move. Cassette systems and translifters are not a new innovation; development work had already started in the 1980’s. The system was first used in machine shops, the steel industry and in prefabrication factories. Then, the cassette system was developed for RORO operations. The first large-scale commissioning took place in 1987 on the Kotka-Lubeck-Helsinki shipline. The system consisted of 600 cassettes and 18 translifters. 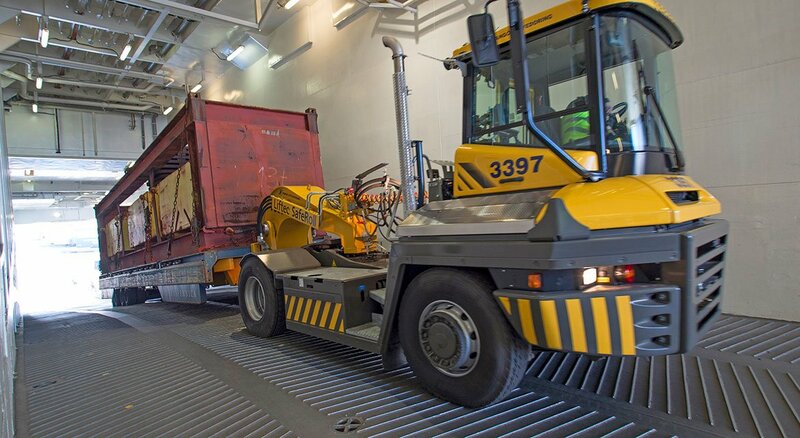 Since the late 1980’s, the cassette system has transformed from a RORO transport system to a multipurpose heavy transport system used worldwide. In 1991, Liftec Products Oy was established. 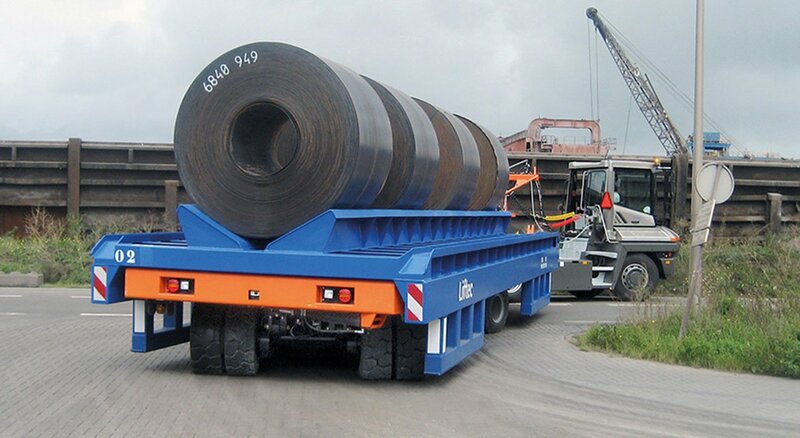 The company developed a quad-axial translifter with an 85-ton bearing capacity, nowadays known as LTH90.